After the acquisition of Broadcom by Avago a few days and that of Freescale by NXP a couple of months ago, Intel has announced that it is buying Altera for a cool $16.7 billion (about £11 billion, AU$22 billion). Altera is an important player in the field of IoT (internet of things) although it is particularly active in the less visible (but more lucrative) markets like Smart City, Industry 4.0, Smart Grid, Healthcare and Connected Car. So no, Intel didn't buy Altera for its wearable assets. Intel already uses Altera technology in a range of semi-customised Xeon processors that have been snapped up by big iron hardware manufacturers and hyperscale customers as these CPUs can be customized to their own needs. Altera manufactured its top-of-the range Stratix 10 SoC using Intel's 14nm 3D Tri-gate fab. It's worth noting that just a couple of weeks ago, Intel announced a partnership with fabless semiconductor company, eASIC to bring ASIC technology to its Xeon processors. It will allow reinforce its data centre and internet of things business units by using Altera's recognised expertise in FPGA (field programmable grid array) and CPLD (complex programmable logic device). 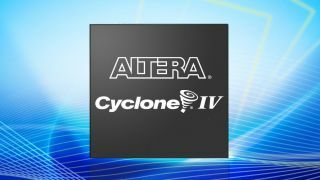 Will Altera move away from MIPS and ARM now that it has been acquired by Intel (and will become a business unit)? That is the question.